The Adams family—John, Abigail, the four children who reached adulthood—is hot. John’s breakthrough came with the publication of David McCullough’s big biography in 2001 and its subsequent conversion into the popular HBO miniseries. Abigail was recently the subject of a Bancroft Prize-winning biography by Woody Holton. 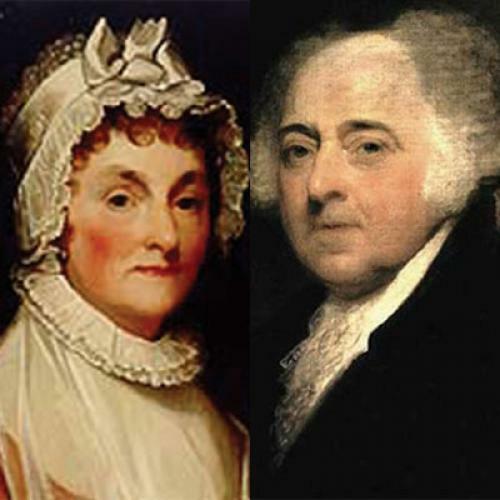 The Adams’ marriage and family were treated in Abigail & John: Portrait of a Marriage, a fine book by Edith Gelles, which was a finalist for the George Washington Book Prize. One might have thought this would have sated the market. But now we have one more book on what Joseph Ellis calls America’s “First Family.” Ellis’s production will undoubtedly eclipse its predecessors in publicity and sales. If you are seriously interested in how this family functioned, and wish to wrestle with the complexities of Abigail’s sensibility and independence, then Gelles and Holton offer far superior alternatives. Gelles, a historian of gender, offers a subtler account of the marriage, and the ways in which Abigail consciously learned to form and express her independent judgment while simultaneously accepting a view of marriage that still preserved traditional gender roles. Holton makes an intriguing—although somewhat over-argued—case for the development of Abigail’s independence during the decade when she hardly saw John. With these books, one watches historians working to bring readers into our trade. With Ellis, by contrast, you get simplistic conclusions that appear to have been reached without the hard thought required by the critical study of history. Reading Ellis’s book leaves one with two further uneasy reflections about the merits of the work. One goes to matters of accuracy, or more specifically, to the unsettling way in which Ellis finds it hard to get the basic facts of history straight, and what this means for the confidence with which he expresses his larger judgments. The other concerns his distinct affection for John Adams, and how we think about his place in this remarkable generation. Having read most of what Ellis has written over this past decade, I am troubled to see how many simple points he casually gets wrong. All of us err occasionally, but Ellis’s mistakes make me wonder whether he really does suffer from a slovenly attitude toward the duty to get things right. In previous books, little matters of fact seem to stump him, such as not knowing the capital of the United States after 1783 (not Philadelphia), or the river that Jefferson and Madison would have taken between New York City and Albany (not the Connecticut), or the officers who fought the most famous military duel of 1778 (it was John Cadwalader, not John Laurens, who put a ball through the face of Washington’s military critic, Thomas Conway). Picking up an essay on the Constitutional Convention that Ellis wrote for American Heritage this summer, I note that he thinks the Constitution was written in 1789, not 1787, and cannot correctly date Benjamin Franklin’s famous plea for the delegates to open their daily sessions with a prayer. Such errors may seem trivial when taken individually, but their recurrence is disturbing. In First Family, Ellis tells us that he has “this stubborn conviction that reading the sources with my own eyes is the only way” to work. I wholly agree in principle, but reading Ellis I begin to doubt whether his eyes can do the job. No one who takes his sources seriously could report that the First Continental Congress adjourned in January 1775, for John Adams’s diary—every working historian’s favorite source for that meeting—describes the Massachusetts delegation’s rainy-day departure for Boston on October 28, 1774, with Adams rashly predicting he would never see Philadelphia again. A source-based historian would know better than to say that the delegate who presided over the bitter congressional debates of 1779 was not Henry Laurens of South Carolina (who resigned in a huff in December 1778) but John Jay of New York, who became Adams’s chief rival for the appointment of peace commissioner. He would not report that Jefferson went to Europe in 1784 to replace Franklin as minister to France. And he would not hold that the Constitution requires the vice president “to remain silent during debates,” which it does not. Even the year of John Quincy Adams’s appointment as secretary of state comes out wrong. Some of these miscues relate to minor matters, and may be discounted by charitable readers. But Ellis manages to fumble some major things as well. Take his treatment of the peace negotiations of 1782, in which Franklin, Jay, and Adams were the American negotiators, belatedly joined at the very end by Henry Laurens. As Ellis tells the story, Adams was the one American diplomat who saw most clearly the advantages of negotiating separately with Britain, with Jay joining in and Franklin yielding to his colleagues’ decision. “In the peace negotiations in Paris he [Adams] alone had insisted on a separate treaty with England despite instructions [from Congress] to the contrary,” Ellis observes. In fact it was Jay who took that key step, opening a direct line to the British government while Adams was dawdling in Holland. Jay certainly anticipated that Adams would support him, and once Adams overcame his aversion to seeing Franklin and finally showed up in Paris, he happily endorsed Jay’s initiative. Thereafter the delegation worked together quite harmoniously. But to make Adams the leading source of this departure is flat wrong. Does Ellis actually know the history on which he pronounces so confidently? The greater question that First Family raises remains the one of Adams himself. There seems little doubt that in his biographer’s heart Ellis retains a deep affection for John Adams. Or more to the point, if asked to choose between the starry-eyed idealism of Thomas Jefferson, with his refusal to resolve awkward contradictions and his distaste for spirited argument, and the gritty down-to-earth, say-what-you-must temperament of John Adams, Ellis has a pronounced preference for the honest farmer’s son from Braintree over the landholding aristocrat from Monticello. Describing the famous Adams-Jefferson retirement correspondence has been a favorite Ellis project, and in his new book it affords him still another opportunity for some fun, not least by demonstrating that Jefferson finally had to concede that his sunny views of French intentions toward the United States was less astute than the concerns Adams had always felt. Still, Ellis’s clever characterization of this correspondence—“Jefferson standing erectly in a stately pose” while the squat Adams “paced back and forth,” occasionally sticking his finger into the taller Virginian’s chest—strikes me as doubtful in at least one way. This correspondence, Ellis concludes “was the closest thing that history allowed for the two sides of the American Revolution to engage in a dialogue.” But what does it mean to speak of these two “sides”? Such a characterization works remarkably well for Jefferson, who became, after all, the leader of a major political movement that dominated the political culture of the United States during the early decades of the nineteenth century. Whatever boomlets of literary interest emerge for other Revolutionary leaders (think of Ron Chernow’s biographies of Hamilton and now Washington), Jefferson finally dwarfs them all, and will probably continue to do so for ages to come. But does this characterization of representing a distinct “side” of the Revolution really work for Adams? In comparison with the other members of the Big Six of Revolutionary founders (along with Washington, Franklin, Jefferson, Madison, and Hamilton), Adams remains the one whose legacy is the most difficult to trace. There is no Adams “side” to the Revolution. There is, rather, a fascinating personality whose involvement in critical episodes—the debate over independence, wartime diplomacy, and a contentious presidency—made him a central actor, but also limited the extent of his influence. What John and Abigail mainly bequeathed to Americans, then, was their relationship. That is how Ellis concludes his book, and I think it is the sharpest observation he makes. In his last years, after Abigail died in 1818, Adams sensed, in Ellis’s words, that the family letters he and Abigail uniquely preserved would ultimately “endear him to posterity as the most fully revealed member of the revolutionary generation,” punching “his ticket into the American pantheon as the original post-mythical hero.” This judgment is mainly correct. No one better illustrates how the provincial world of the American colonies gave way to the drama of revolution than Adams, the lawyer who went from shuffling from one Massachusetts county court to another before taking on the role of advocating the cause of independence. Nor did any other member of the revolutionary generation come anywhere near Adams in openly fretting about how he would be remembered. Yet even this concluding judgment seems flawed for a book devoted to this first family. Is it not the joint correspondence of husband and wife, rather than the evidence for John alone, that gives the Adams family its new hold over our historical imagination? And for careful readers of their correspondence, now available in several versions from Harvard University Press, is it not Abigail who finally sounds the more fascinating and admirable notes? The best known of these, by far, is Abigail’s “Remember the Ladies” letter of March 1776, the most celebrated letter any American woman has ever written. The subject of endless scholarly commentary and who knows how many classroom discussions, the letter testifies to the uncertainty she felt in 1776. Abigail readily co-opts the political language of independence; yet as Ellis notes, her husband took her brief pitch for women’s rights as a “playful” foray that he did not even have to answer seriously. With each passing year of their prolonged absence, her voice grew stronger, and John would rarely if ever mistake her purpose or opinion. Sometimes they outright disagreed, as when John pointedly dismissed Abigail’s wholly independent purchase of land in Vermont as a decision he would never accept. Abigail’s letters of the early 1780s, when she was weighing her fears of an ocean voyage against John’s repeated requests that she finally rejoin him, illustrate the fine balance in her moral judgment. To accept her duty to John was the principle of their marriage, yet it no longer limited her ability to express her views sharply and directly. It is one of the vices of Ellis’s swift pace that the voice of this remarkable woman does not come through quite as clearly or fully as it deserves. Jack Rakove is professor of history and political science at Stanford.